As a product manager for Fishbowl, I’m often asked a lot of questions that begin with “Why?” Why does a feature work a certain way? Why haven’t you added my enhancement request yet? Why did this change? These are great questions, and they lead to the bigger question: Why do we do what we do? Determining the development roadmap for Fishbowl is an amazing process. Enhancement requests come by the hundreds from a myriad of sources. Fishbowl maintains an inbox for enhancements (ideas@fishbowlinventory.com) that receives a good amount of emails each day. While there isn’t time to respond personally to each request, every email is read and the request is noted. In addition to these emails, feedback comes from forum posts, calls and chats with customers, support and training staff, our sales team, and consultants who work with Fishbowl. The developers and product managers also have “Fishing Trips,” which are onsite visits to Fishbowl customers across the country. These enhancement requests are ultimately funneled to the appropriate product manager. Those with the most requests are added to the software next. The product managers research, design, and schedule each project individually and with varying timelines and scope. But it all starts with the requests that we receive each day from our customers. It’s an amazing process because our primary motivation is to build the best software we can. There isn’t interference from the CEO, president or other executives to do something less important than what our customers want. No one at Fishbowl denies that the customer matters most – especially when it comes to feature selection and design. While this concept is employed for new features, it also dictates our approach to existing functionality in the software. As a company, we recognize that we’re not perfect – but we’re always striving for perfection, so when we find a better way to do something (or more often when our customers enlighten us with a better way) we make improvements to existing functionality. This is a delicate topic, and it can be painful for both Fishbowl employees and customers who use a specific feature in its current state. Sometimes redesigning a feature set has little impact on customers – like adding a module option or improving an advanced search window. In these cases, the end user may notice a slight change in the interface, but the general behavior of the software remains the same and many users don’t even notice the change at all. Occasionally, though, the better way to do things involves a substantial redesign of the software, as was the case recently. With the advent of Fishbowl Inventory 2012 we released SalesPoint, a point of sale solution that integrates with Fishbowl. SalesPoint was designed to replace the Point of Sale module that existed in the Fishbowl client for many years. 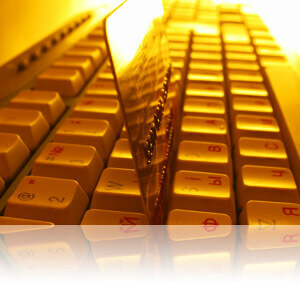 We received numerous requests to create a retail interface for order processing in a fast-paced environment. At some point in the evolution of Fishbowl there was an option added to display the Point of Sale module in its own window, but still the requests came for more functionality. We finally made the decision to remove the Point of Sale module from the client and introduce a separate application. SalesPoint includes functionality previously available in Fishbowl with the addition of many obvious and subtle enhancements. SalesPoint is touchscreen friendly, it allows for credit card payment processing, is barcode friendly, and has the ability to batch sales information to QuickBooks. It also includes many small features that benefit both Fishbowl users and the customers they serve. SalesPoint includes a customer rear display, a total savings calculation, the ability to sell kits, customer credit card recall, and many other time-saving and stress-eliminating features. It is simple to use and easy to learn. Because it integrates with Fishbowl, all the inventory and manufacturing capabilities of our flagship product extend to SalesPoint. We introduced SalesPoint to address the need so many wholesalers and manufacturers face as they introduce retail business into their organization as a fresh source of revenue. Smart companies are always looking for better ways to increase revenue while decreasing costs. 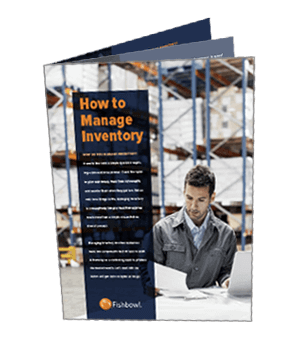 Selling directly to the public is a great market for many manufacturers and wholesalers, and using Fishbowl and SalesPoint is a cost-effective way to handle inventory across the organization. Hopefully this gives you some insight into why we’ve done the things we have with Fishbowl. In the near future, I’ll explain what’s next on the Fishbowl development horizon. We need the Bill of Material report to have the Material roll up cost to calculate from last vendor cost because when designing new products we may not have any raw material in inventory but would have last vendor cost for the raw material. We are constantly adding new products and need to know what to sell it for. Thanks for listening!